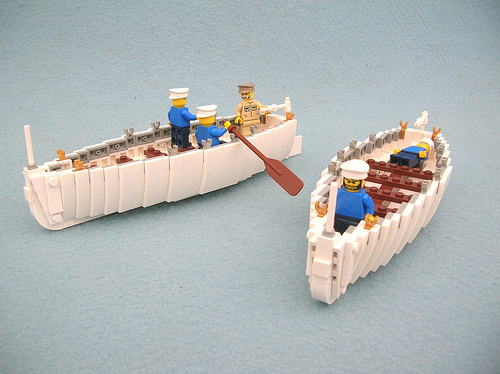 I love the sloped hulls on these WW2 era US Navy 26ft whaler boats by Ed Diment (Lego Monster). Great curves without clunky interior support structure. Very nice.